Lexi-Comp has made great strides in the last year with their mobile products. Their applications for the iPhone and iPod Touch are must haves and their catalogue continues to evolve. The latest evolution comes for Blackberry owners who want to have Lexi with them wherever they go. Teh Lexi-Comp On Hand software will now be available for RIM lovers as well. Lexi-Comp, Inc., a provider of clinical information and drug data solutions for healthcare professionals, has released a new version of its BlackBerry applications, designed specifically for many of the features and enhancements now available in version 5.0 of the BlackBerry OS. Lexi-Comp handheld software solutions also include compatibility with Palm OS® and Palm® webOS™ devices (Pre™ and Pixi™); Pocket PC devices; the iPod touch®; smartphones, including iPhone® and Google Android™; and Windows Mobile® devices. Individual database and package options from the Lexi-Comp ON-HAND software library are now available for purchase by visiting Lexi-Comp's BlackBerry medical and dental software page. The new BlackBerry 5.0 application includes four key enhancements to Lexi-Comp's current BlackBerry offering. All data can now be stored on an SD card, significantly increasing reliability by eliminating the need for a consistent cell or Wi-Fi connection. Users are able to view tables, charts, appendices, and images exactly as they are seen in Lexi-Comp's handbooks and Internet platforms. Also, downloading and updating the software can now be done over the air, with no cords or syncing required. Lastly, the interface is more user-friendly, with an overall cleaner presentation of information. 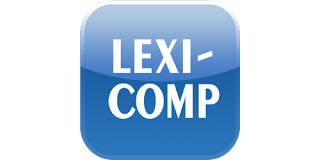 Lexi-Comp ON-HAND for BlackBerry 5.0 will feature nearly all of Lexi-Comp's clinical databases in the initial release, including Lexi-Drugs®, the most comprehensive pharmacology database available. Users can create and store personalized user notes within each monograph,as well as diagnose, find treatment options, and identify drug interactions in seconds. Clinicians can link to FDA warnings, PubMed, and additional resources directly from their device. Dental professionals can utilize this mobile technology to access the same photo-rich resources presented in Lexi-Comp's highly regarded printed dental manuals. Additional licensed resources, including Harrison's Practice, The 5-Minute Clinical Consultant, and Stedman's Medical Dictionary for the Health Professions and Nursing, are also available. Planned enhancements to the 5.0 version will include the addition of Lexi-I.V. Compatibility™, Lexi-Drug ID™, and Lexi-CALC™. To purchase or demo Lexi-Comp ON-HAND solutions for BlackBerry 5.0, visit Lexi-Comp's BlackBerry medical and dental software page. Lexi-Comp's top-rated technical support services are available by calling 1-866-397-3433 or by visiting their online support portal.